My friend Ed bought a used Crate GTX3500H amplifier but it didn't have the footpedal with it. After he got nowhere trying to buy one online I re-engineered a Boss BE-5 four-switch footswitch to provide the same functionality as the original. 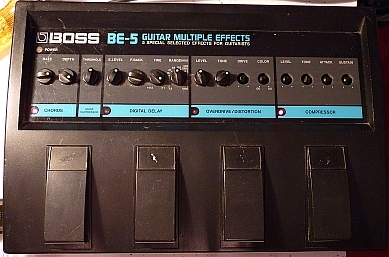 The original Boss BE-5 footpedal, mostly non-functional. The switches and LED worked so it seemed like a good idea to try re-purposing it. 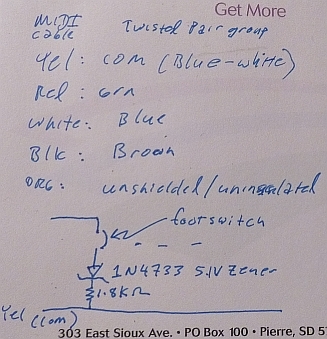 My notes regarding the wire colors and the interface between the footswitch and the MIDI cable. A 1N4733 5.1V zener diode in series with a 1.8K ohm resistor provided the necessary voltage drop. 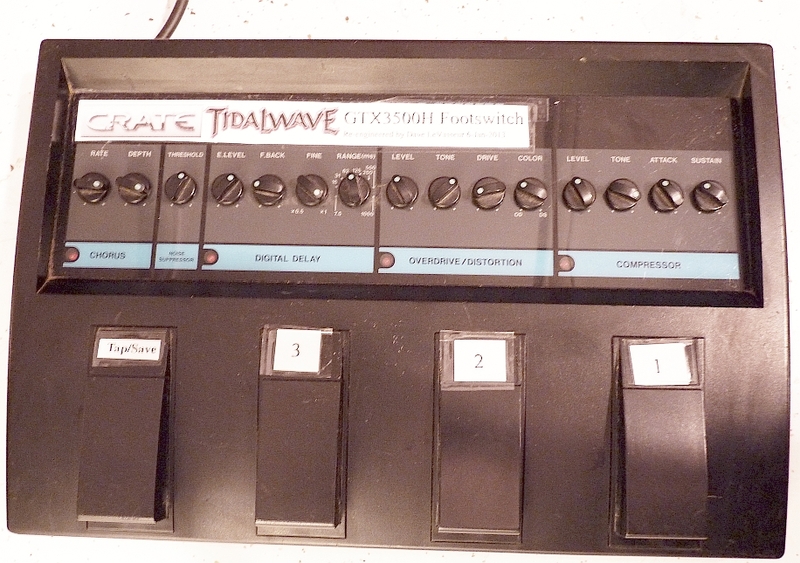 Here's a photo of the finished (re-engineered) footswitch, complete with labels. The Crate GTX3500H footswitch logic put a higher voltage (or perhaps runs a constant current) through the LED that shows a given channel to be "on". The difficulty interfacing the Boss footswitch came up when the footswitch LEDs dragged down the Crate's in-amp LED voltages preventing them from illuminating properly. 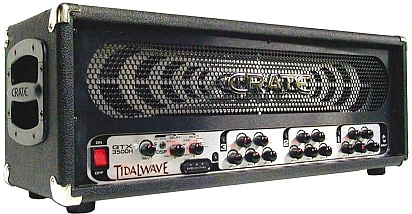 The Crate's "off" channels were still putting out enough voltage that the footswitch LEDs wouldn't turn completely off when their channels weren't selected. Some experimentation showed that the Boss's native LEDs would work if put in series with a 5.1V zener and a 1.8K ohms resistor. Sorry I don't have any photos showing the internal connections. 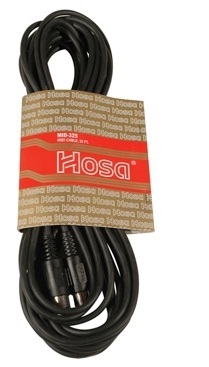 I cut one end off the MIDI cable to wire it into the Boss footswitch. My notes above show the wire colors and how I interfaced them to the Boss pedal. 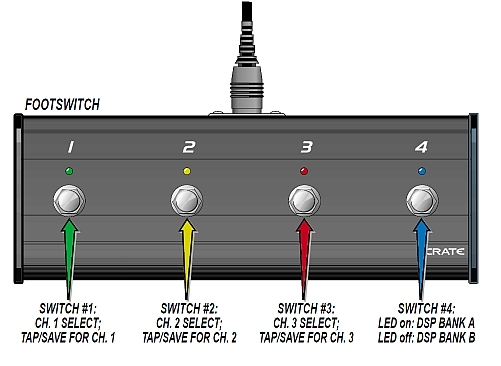 The purpose of this document is to show how an existing four-pedal footswitch of any kind might be reused to create a replacement for the Crate footswitch. Here's a forum/blog on replacements for the Crate GTX3500H footswitch. The Crate GTX3500H Manual (PDF).